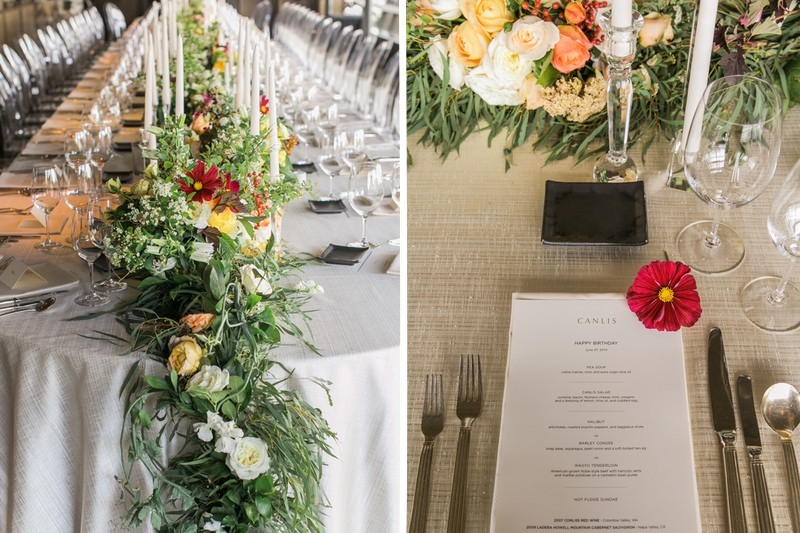 We were asked to design a unique and inspiring tabletop for a gentleman's 60th birthday party at Canlis. 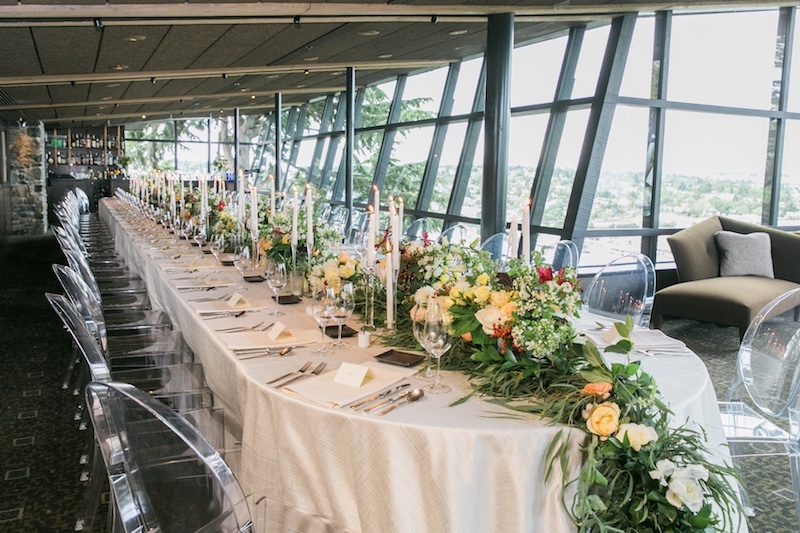 To complement the long, narrow shape of Canlis' private dining room and its astounding views of the city and Lake Union, we created a 60' floral runner styled with hundreds of taper and votive candles. 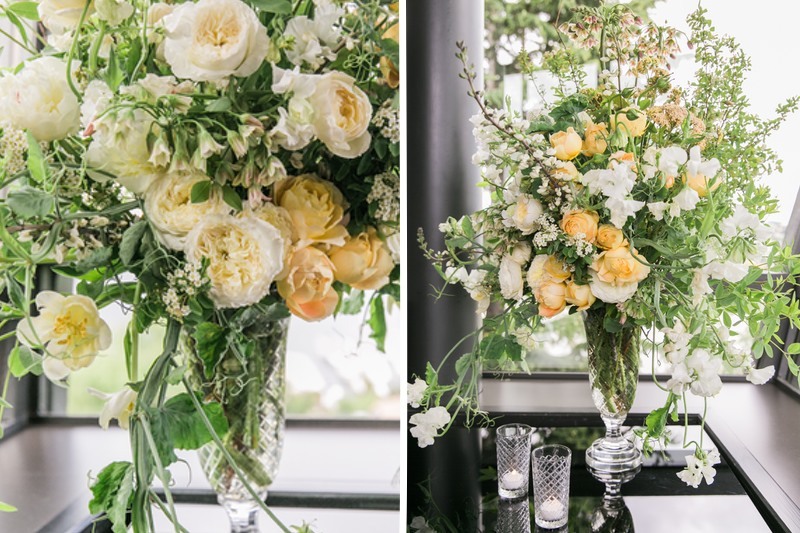 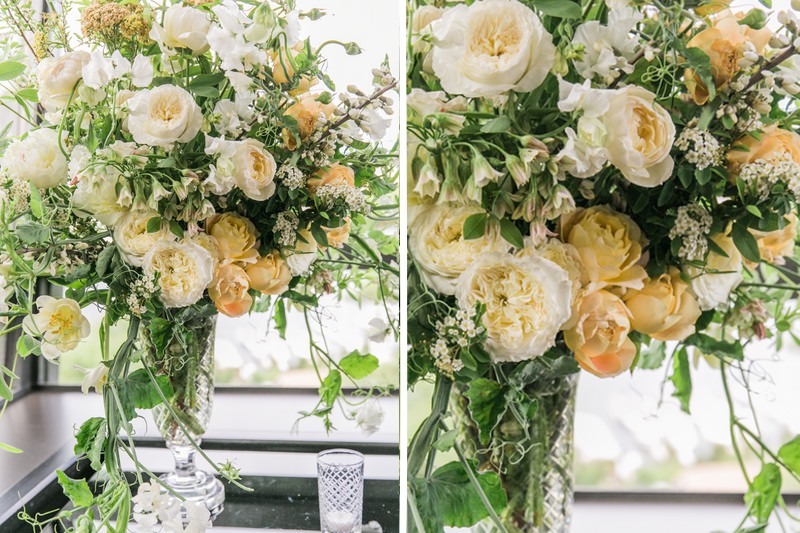 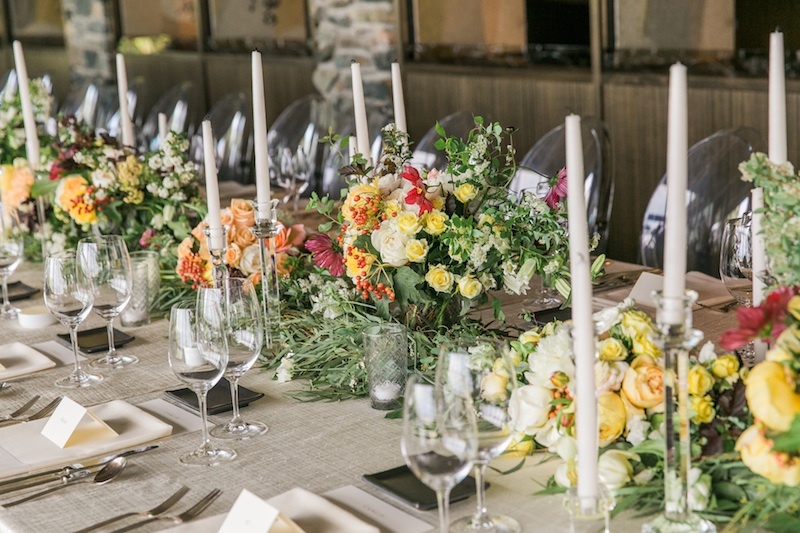 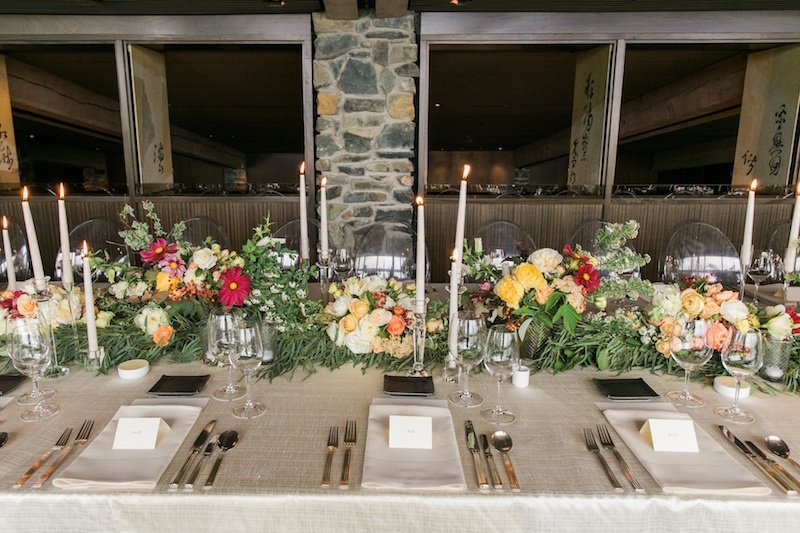 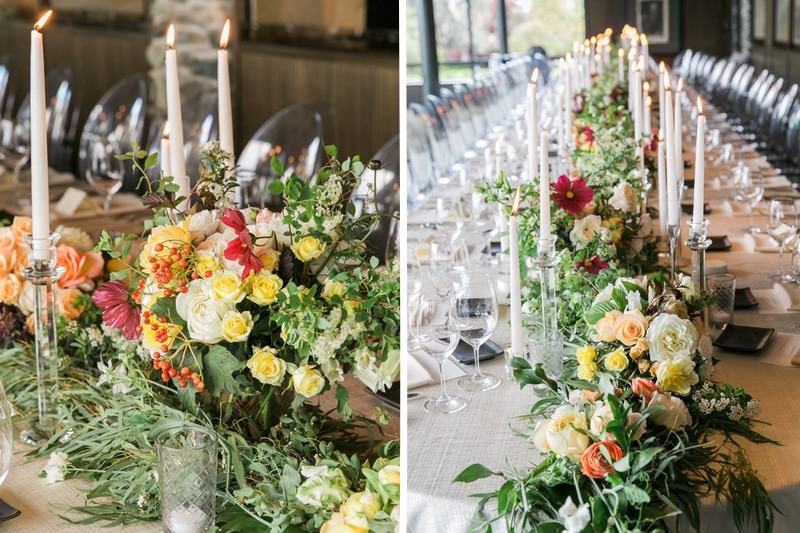 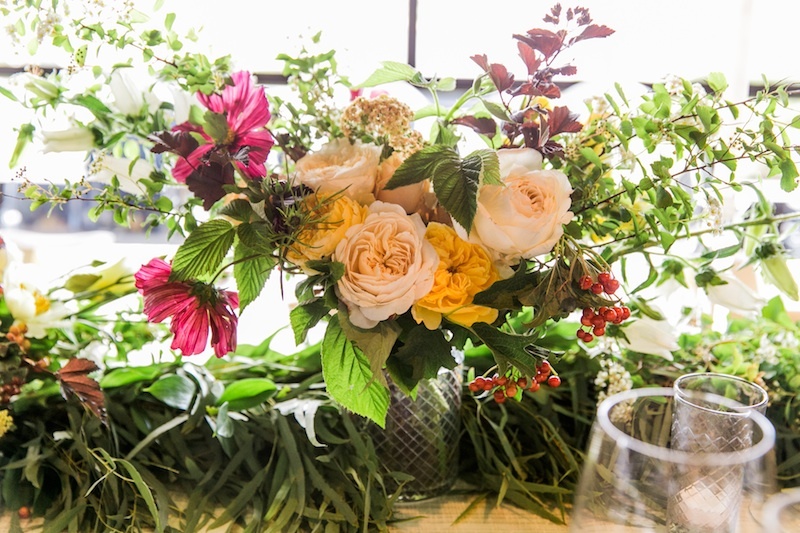 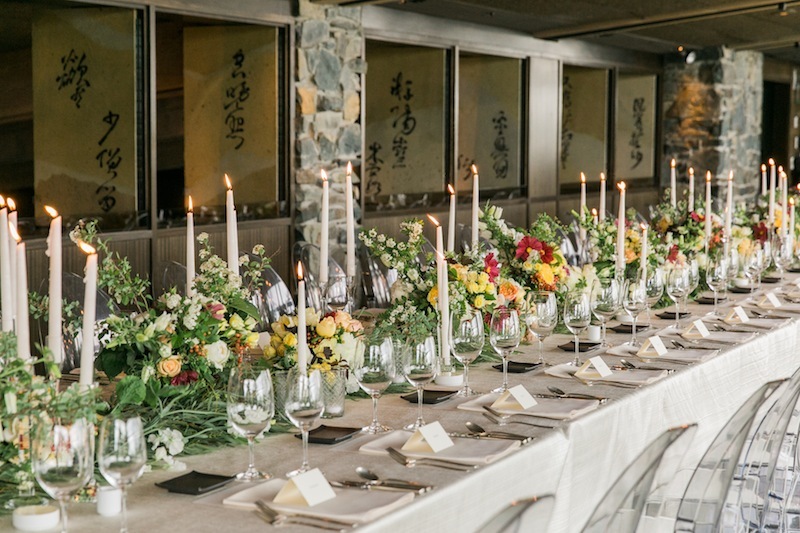 Using primarily local, seasonal blooms and foliage, we created 30 taller arrangements in cut crystal vases and 30 lower arrangements piecing them along a swag of willow that draped over the ends of the table. 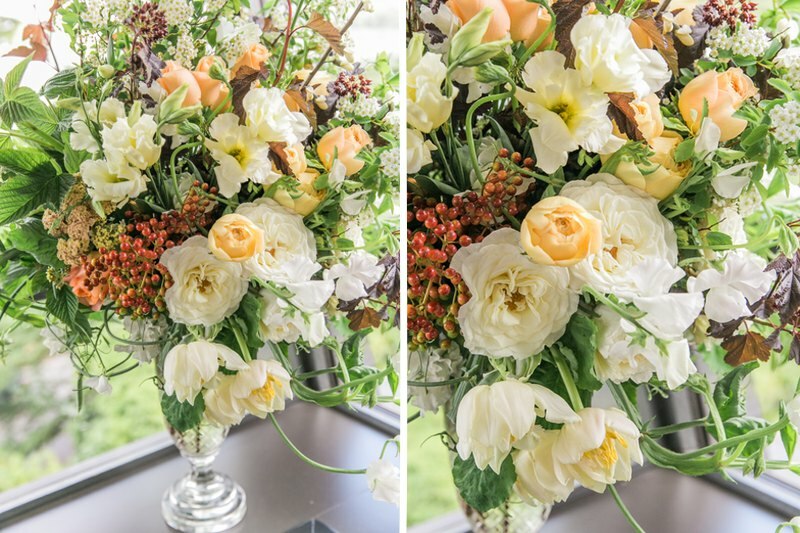 I wanted to highlight the Spring wildflowers and garden roses in soft cream and peach but also bring in a deeper burgundy accent to add interest and make the design slightly more masculine. 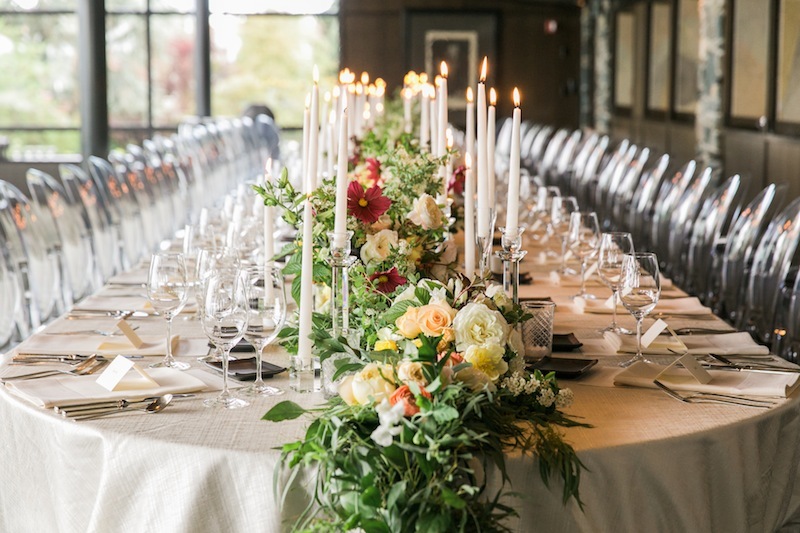 The flowers glowed under tall tapers and votives in crystal holders and our clients particularly loved the modern ghost chairs.